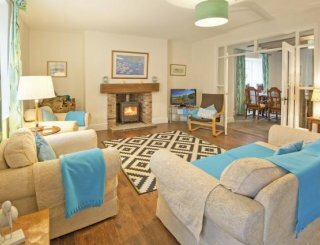 Bamburgh House and Lindisfarne Cottage, Bamburgh, sleeps 10-18 in 9 bedrooms. 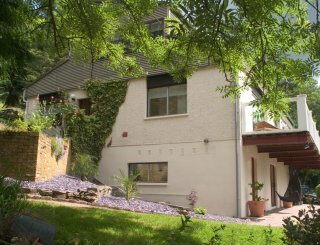 Bamburgh House is a large, two storey house providing comfortable accommodation for 12 and ideal as a large group house. Adjacent to this property is a further cottage with three bedrooms and accommodation for an additional 6 guests. The house is tastefully decorated and provides spacious lounges and a dining area for a large group to come together. There are two kitchens, one a main cooking room, the other an extra/breakfast room. The house has six lovely double bedrooms, two bathrooms and ground floor WC. 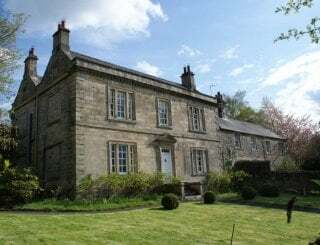 Set at the Farm Steading of Adderstone Hall Estate, the house shares a front lawned garden and there is car parking available for 6 cars. 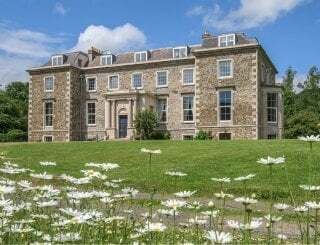 The main estate and Hall, 400 yards down the road, have gardens with ornamental trees and flowerbeds, lawns and woodland providing an attractive haven of peace and tranquillity. We can accommodate 'bring your own horse' for riding here, as well as arranging tuition at a nearby equestrian centre. 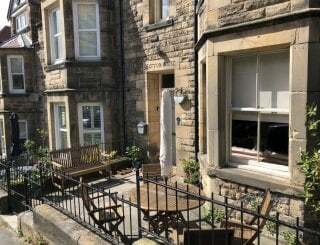 Guests can have discounted meals at our acclaimed Blue Bell Hotel in Belford. 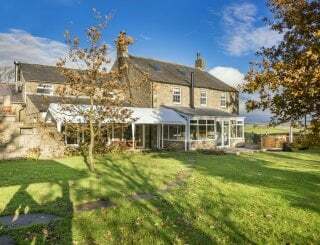 Located in the heart of Northumberland, in an area of Outstanding Natural Beauty, our cottages are ideally suited as a base from which to explore the stunning local area. 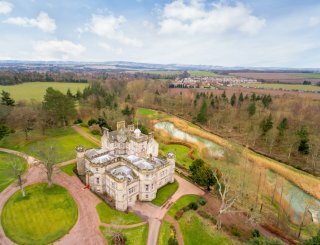 Surrounded by rolling hills, beautiful countryside, an idyllic coastline and stunning castles and historical sites, the location of our cottages will suit all visitors to the area. The area is perfect for walking, fishing, bird watching, photography, golf and a wide array of activities. The coastal parish of Bamburgh is set in beautiful Northumberland countryside, approximately midway between Berwick upon Tweed and Alnwick (and some sixteen miles from both). 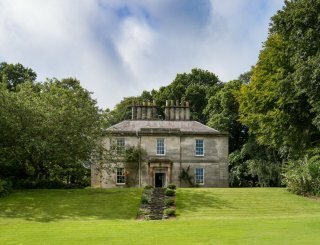 It is 39 miles from the nearest airport (Newcastle) and 4.4 miles from the nearest railway station (Chathill). Adderstone Estate is 4 miles from Bamburgh. Kitchen and a Utility Room. Kitchen contains cooker, microwave, washing machine, toaster and all crockery. A large comfortable dining room is ideal for group dining and seats a large group. 1 main lounge, dining/lounge room. TV, Freeview, DVD, WiFi in both Bamburgh House and Lindisfarne Cottage. Secure WiFi is available in both properties. There is no games room available. Electric central heating. Wood burning stove in the living rooms of both properties and all logs provided. Bamburgh House has 6 bedrooms and Lindisfarne has 3. All are double/twin comfortable rooms. Bamburgh House has 2 bathrooms with bath/showers plus ground floor WC. Lindisfarne Cottage has a bathroom with bath/shower. Children most welcome with cots, high chairs in both properties available. 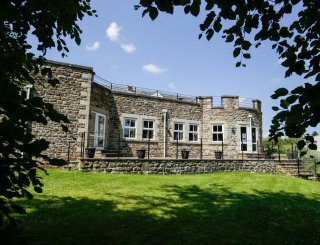 Set in own grounds with a shared small lawn, but facilities at Adderstone Hall are available to guests. Parking is available for up to 6 cars. Pets may be accommodated. Please contact us to discuss. The coastal parish of Bamburgh is set in beautiful Northumberland countryside, approximately midway between Berwick upon Tweed and Alnwick. Belford 2 miles, 24 hr service station with food/papers/fuel - 400 yards, and Bamburgh 4 miles. The village of Belford has numerous shops and amenities. There is also a 24 hr service station nearby selling all essentials. In the village of Belford are The Blue Bell Hotel & Restaurant and bars while at Bamburgh and Seahouses there are a number of options. 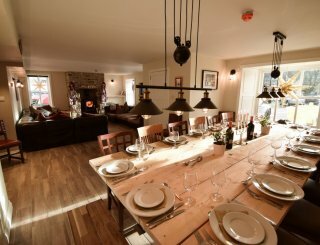 Bamburgh House is priced at between £800 and £1850 for a week's stay. Lindisfarne Cottage is priced between £400 and £800 for a week's stay. Please note: No weekend bookings during high season / school holidays. We only do short breaks outside school holiday dates. A1 junction - Purdy Lodge, Belford.